The 9.0 magnitude earthquake that devastated Haiti on January 12, 2010 at 4:53 p.m. is one of the worst natural disasters in recent memory, if not of all time. 3 million people were in desperate need of emergency aid after the major quake and its 33 aftershocks, ranging in magnitude from 4.2 to 5.9. Dr. Bud loads up his Cessna for the trip It's estimated that 200,000 people lost their lives, and many many thousands of people suffered terrible injuries. A large number of buildings collapsed, including the President's palace, and National Assembly building. When Dr. Mike Budincich heard the news, a small, quiet, insistent voice inside urged him to take action. Through his non-profit organization, Manos con Alas, he quickly began networking with others who wanted to do whatever they could to help. It took about a week to prepare for his journey, as he needed to get equipment he normally does not carry in his Cessna T-210, including life rafts, as he would be flying over the Caribbean Sea. 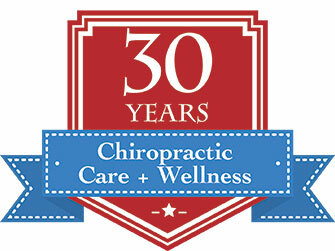 He committed 14 days away from his busy chiropractic practice to the mission, knowing that Dr. Jukes and his office staff would ably continue during his absence. The first person to volunteer to go to Haiti along with Dr. Bud was Sharon Valez, who had been on many Baja California missions with Manos con Alas. Her son, Sam Block, is a disaster relief expert, and he came from Georgia to join his mother and Dr. Bud in Ft. Lauderdale, Florida. On January 23, Dr. Bud flew from El Monte Airport to Florida without a game plan - he knew that once he got moving, he would be guided to where and how he would be of service.